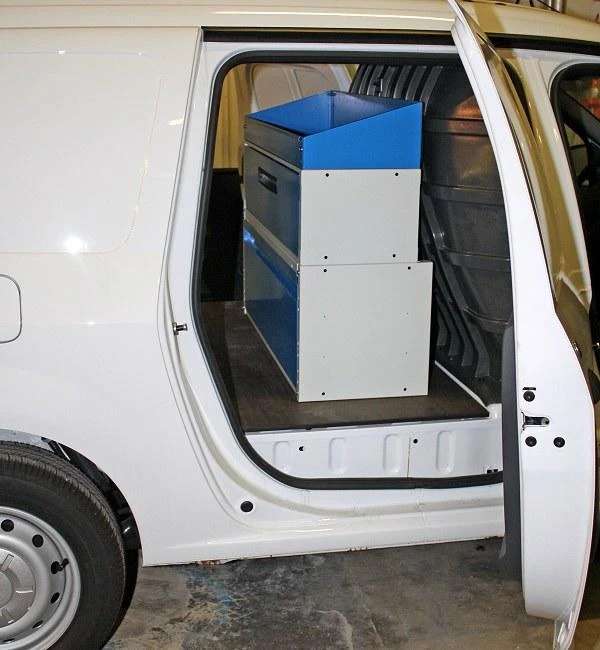 Syncro System offers van racking, drawers cabinets, wheel-arch covers and other van accessories for Dacia Logan. Convert your Dacia Logan into a service vehicle! 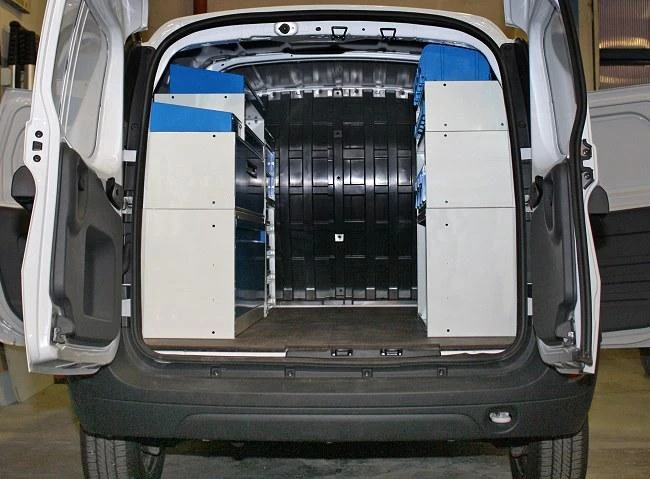 Syncro System van racking allows you to fit any vans, no matter the dimensions. 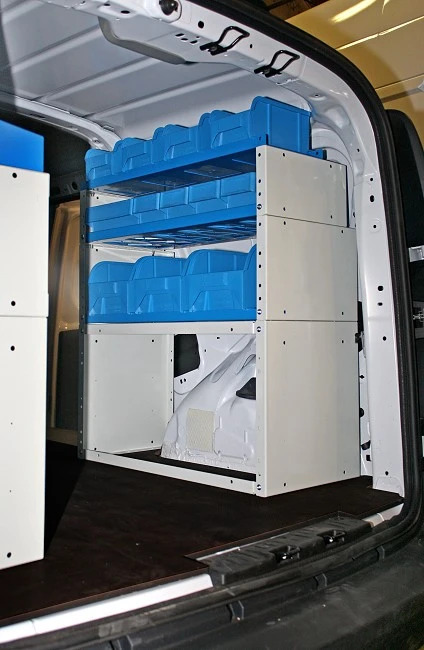 The great number and variety of van racking units allow you to design your own storage solution, maximizing the space available in the van. 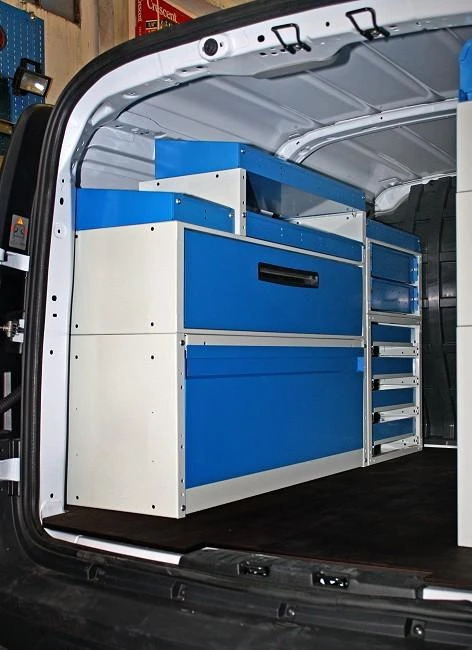 Dacia Logan van racking allow you to provide your vehicle with a racking leaving enough space for loading cargo and equipment..
Syncro System shelving, racking, storage units, drawers units, cabinets and vans accessories allow you to turn your Dacia Logan into a service van or a maintenance van. As you can see on the images, the two side doors allow you to install a racking that can be easily reached from outside. Other options are above the wheelhouse cover or against the bulkhead. Anti-slip flooring panels and side panels for Logan are also available for internal lining of your vehicle. 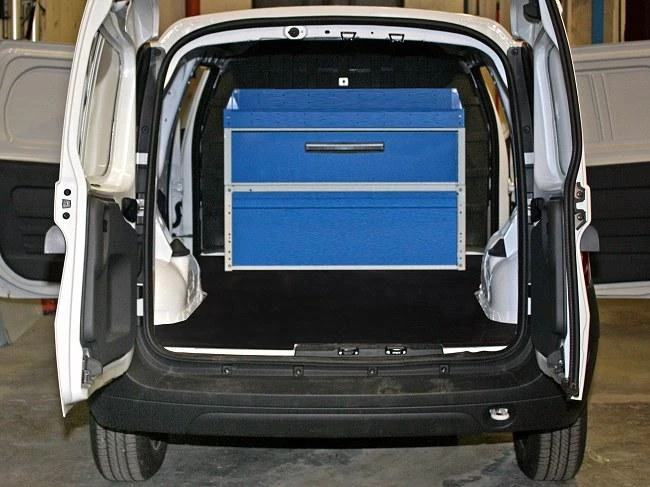 With Syncro System van racking convert your Dacia Logan into a mobile workshop.